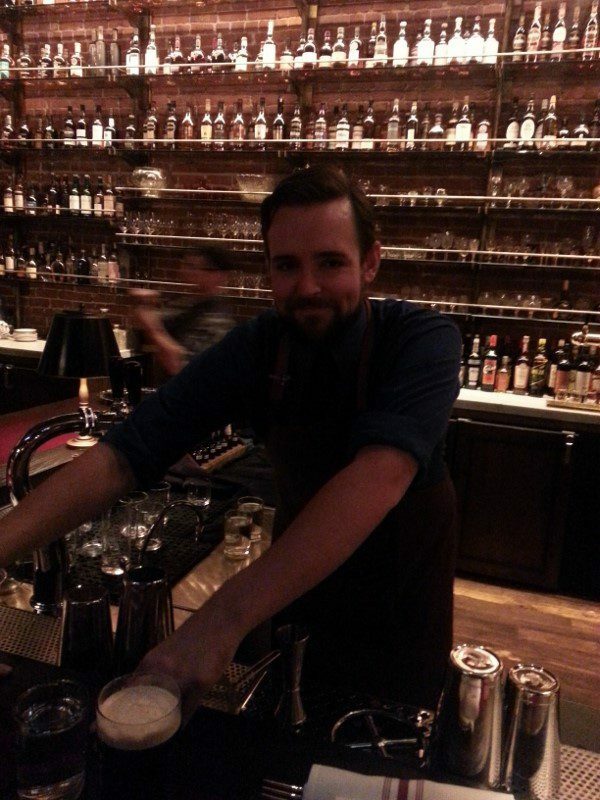 The newest bar in Portland opened the same week as Portland Cocktail Week. 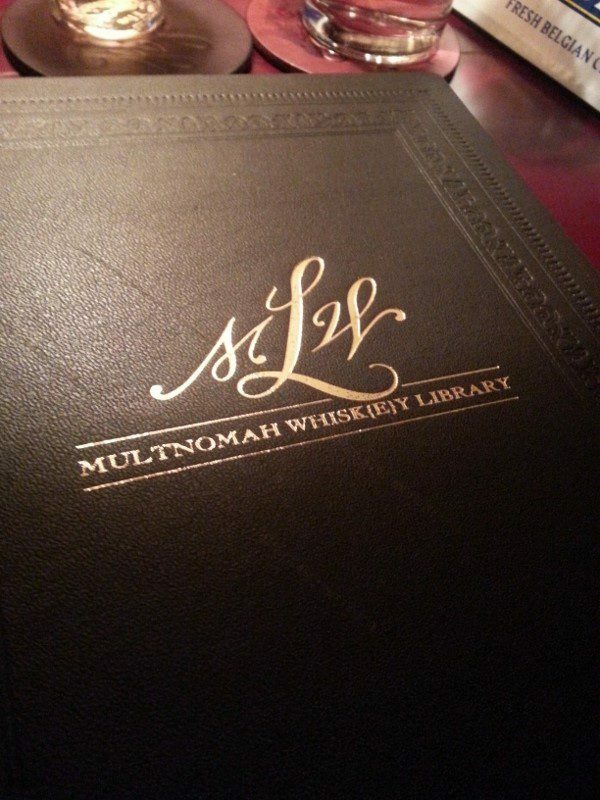 So, we knew we had to find some time to stop by the Multnomah Whisk(e)y Library. But, everyone seemed to have had the same idea and at 4pm, when the bar opened, we were lined up with probably 100 other people. Fortunately, we were towards the front of the line and after only waiting 15 minutes, we got a few seats by the fireplace. And we are very happy we made it in this beautiful place! 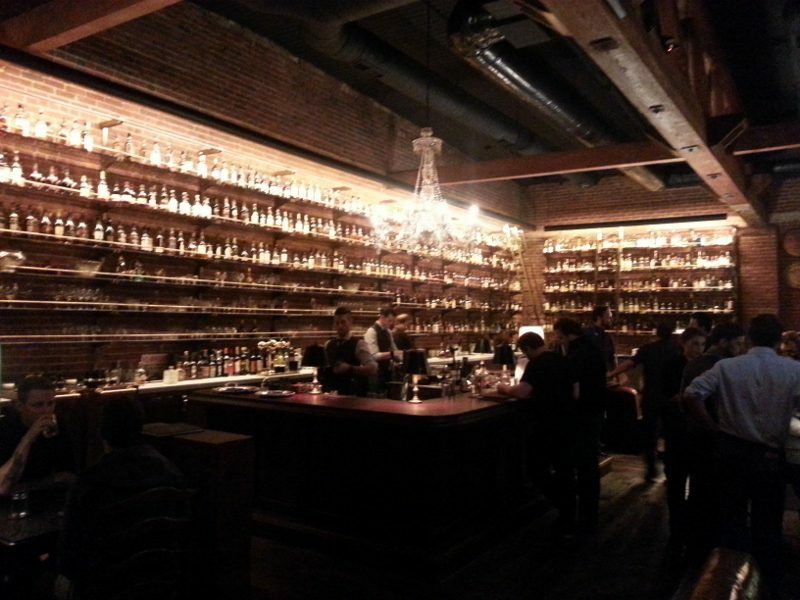 A large open space, the walls are covered with shelves of bottles. The room was warm and inviting with the back lighting and the leather couches. If you are not one of the few people who who can stand at the bar, no worries. 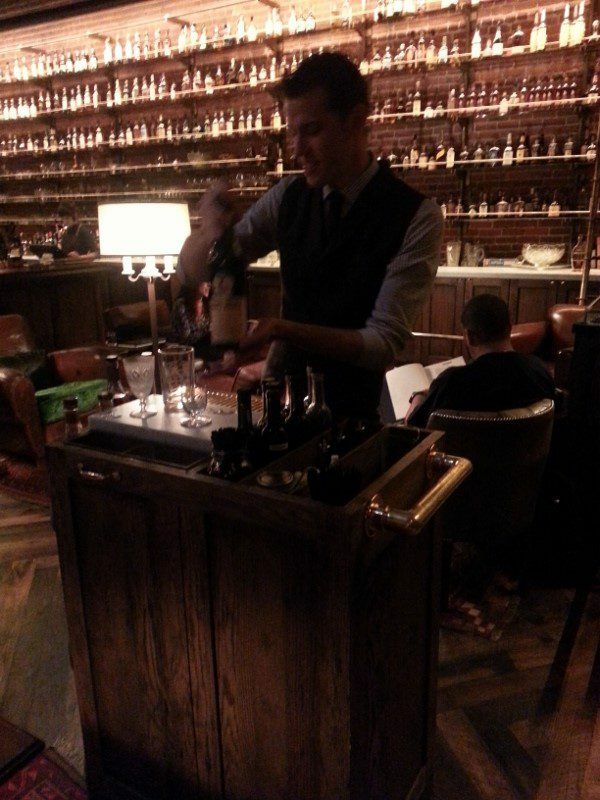 The bar will come to you as cocktails are all prepared tableside. 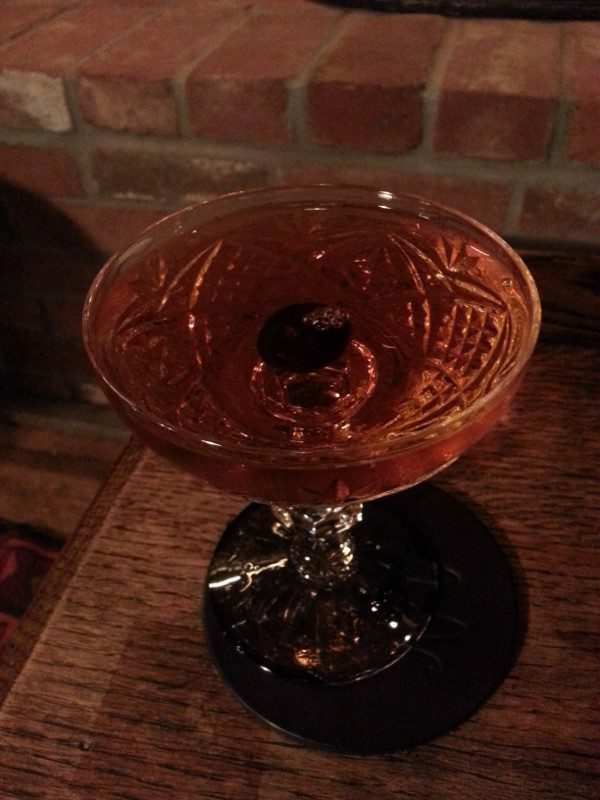 I ordered a Queen Elizabeth, made with park vs cognac, royal combier, carpano antica, cardamom bitters. This is a must visit destination! I know I will be heading back next time I am in Portland. This entry was posted in Cocktails and tagged Jordan Felix, Multnomah Whisk(e)y Library, Oregon, Portland by Allison Levine.